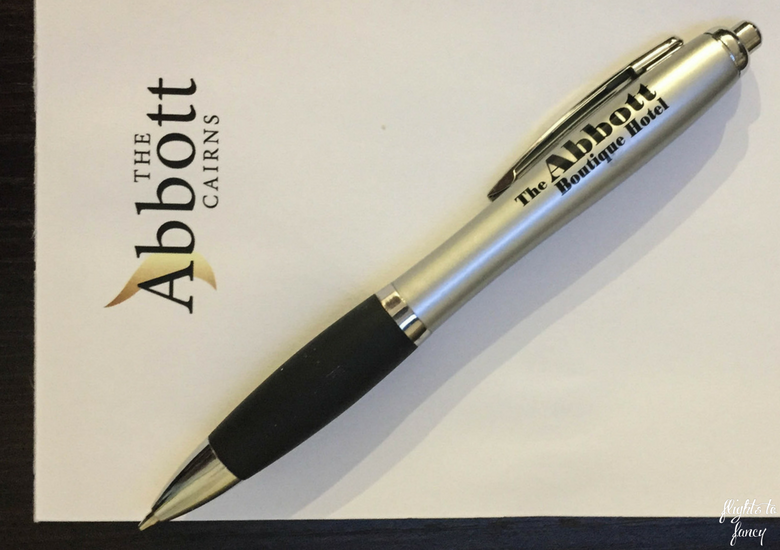 The Abbott Boutique Hotel Cairns’ Abbott St location is smack bang in the middle of Cairns’ compact CBD. On day two of our Cairns road trip we checked out of the Silky Oaks Lodge in Mossman and headed north to the Daintree to spend an hour crocodile spotting with Bruce Belcher before heading south to Cairns. The two hour drive went by quickly and our GPS had no trouble finding The Abbott. The Cairns accommodation scene is distinctly lacking in modern, centrally located, good value hotels, but The Abbott fills the void nicely. 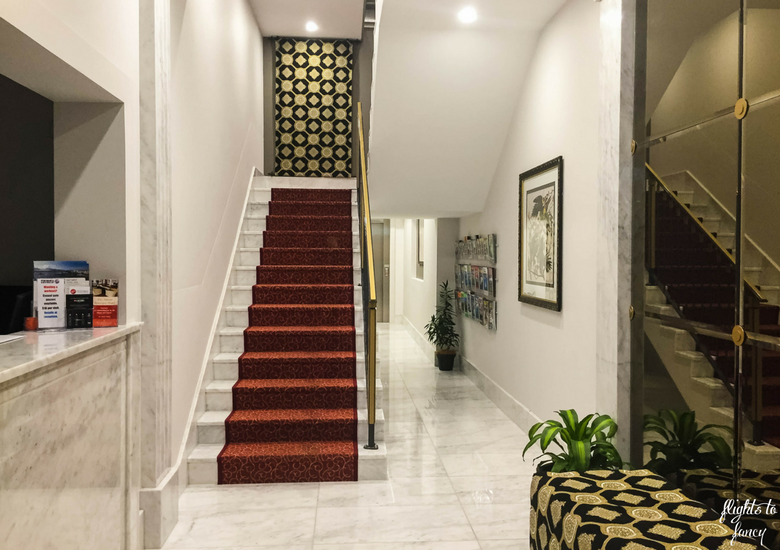 The hotel recently underwent a $1.8m renovation and everything feels fresh. You would be hard up trying to find a better located hotel than The Abbott. While we did hire a car for our road trip, once we parked it we had no need to touch it again until we checked out. The Abbott Boutique hotel does not have a car park, but there is ample parking on the street. We arrived just after 3pm and we only had to put $2 in the meter to get us through to 5pm when parking becomes free. On arrival Betty checked us in with the upmost efficiency and the elevator whisked us straight to the second floor. 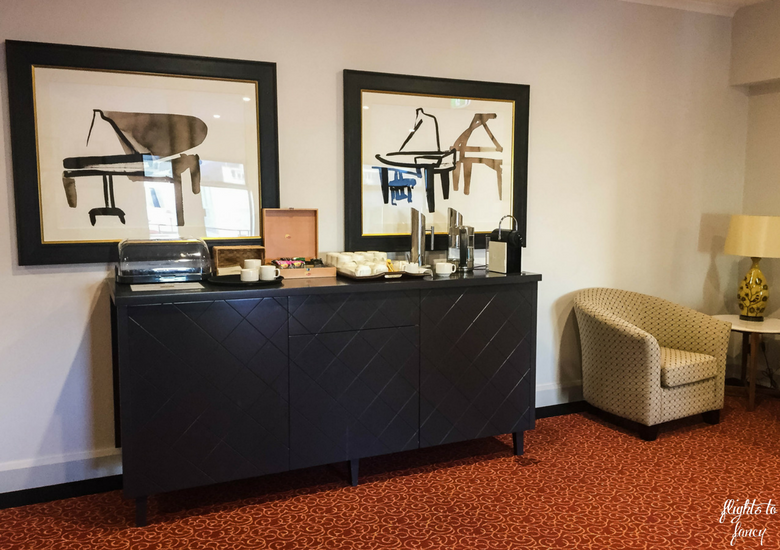 Reception is manned between 7am and 9pm and after hours access takes care of your late night jaunts. The Abbott Boutique hotel does not have a host of onsite facilities but who really needs a gym anyway? 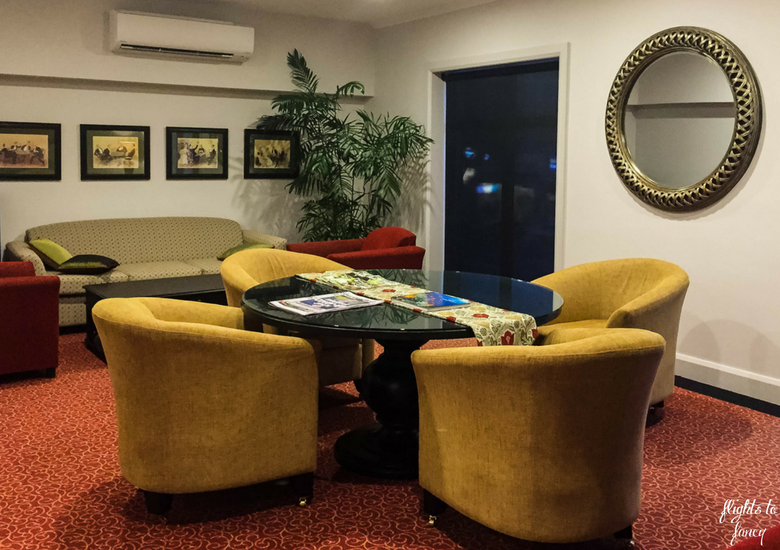 The Abbott Boutique Hotel Cairns has a mix of superior and deluxe rooms spread over two storeys. We were assigned room 205 and it was much more spacious than I was expecting. The entry housed a closet complete with a safe and ample luggage storage. The super king sized bed was so comfy instead of using the desk I just balanced the laptop on my belly while working from the bed. That’s just how I roll. Our room was equipped with floor to ceiling windows but didn’t come with a view. Some might have been disappointed with this, but I chose to see the bright side and as The Hubs pointed out, we could keep the curtains open all day without the need to worry about privacy. The bathroom was compact but spotlessly clean and the shower was brilliant! 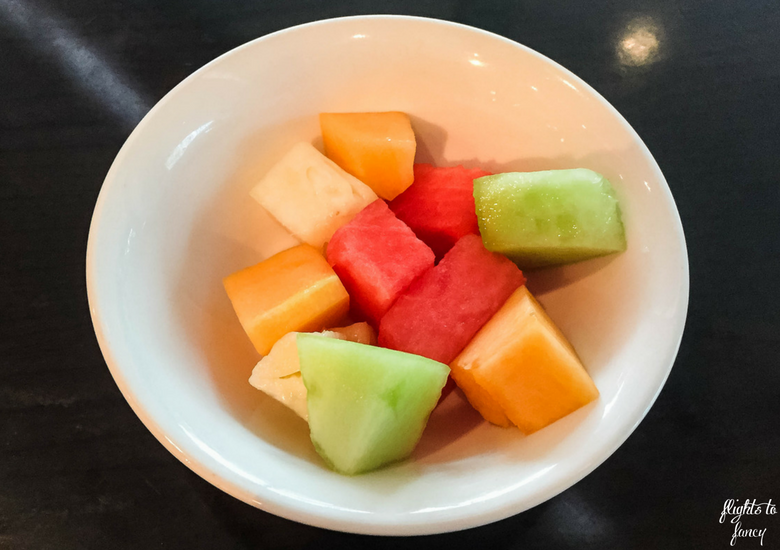 While The Abbott Boutique Hotel Cairns does not have breakfast onsite, guests only need to pop around the corner to the The Pacific Hotel for their morning feast. We dined early as we had a big morning ahead on the Kuranda Scenic Railway but there were already a few other early birds seated in the spacious dining room. 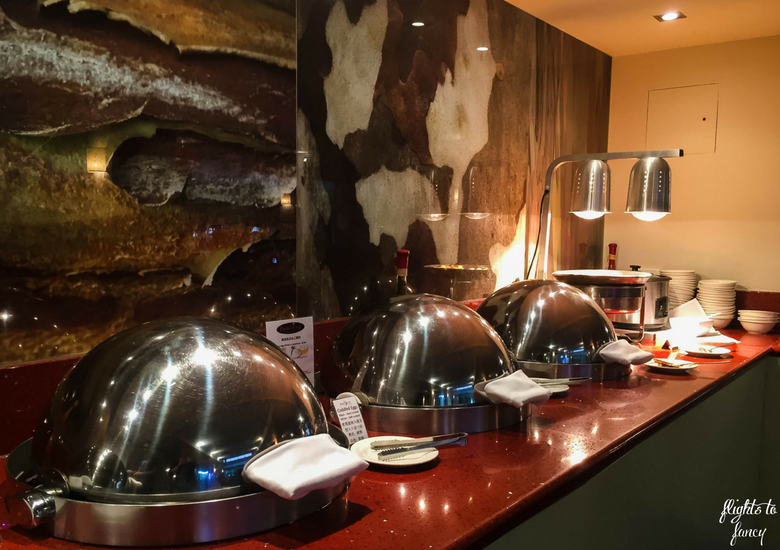 As you would expect, breakfast is served buffet style and there is plenty to choose from. 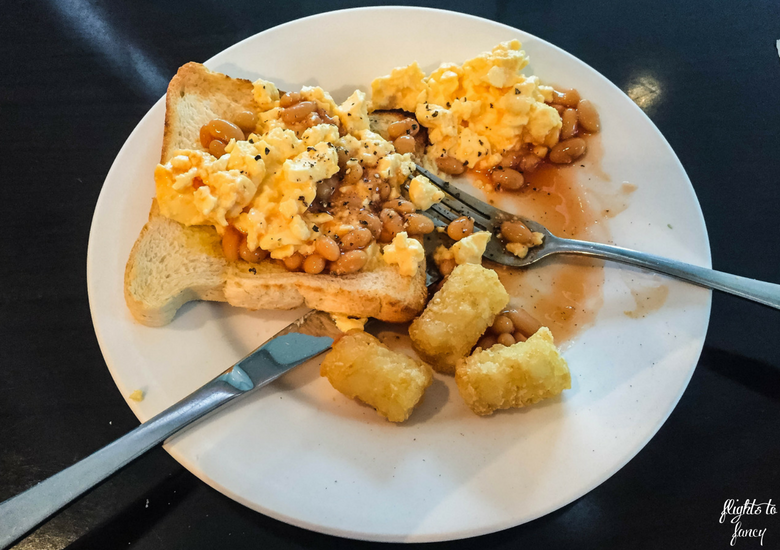 The Hubs headed straight to the hot buffet and filled a plate with his favourite scrambled eggs and baked beans. It’s surprising how many hotels don’t have baked beans on the breakfast buffet and The Hubs is never happy when that happens. I started with the breakfast of champions; vegemite on toast, before my healthy fruit salad. The Abbott Boutique Hotel Cairns is perfectly placed to explore everything Tropical North Queensland has to offer. There are heaps of things to do in Cairns and the helpful staff at reception will help you book all your tours. 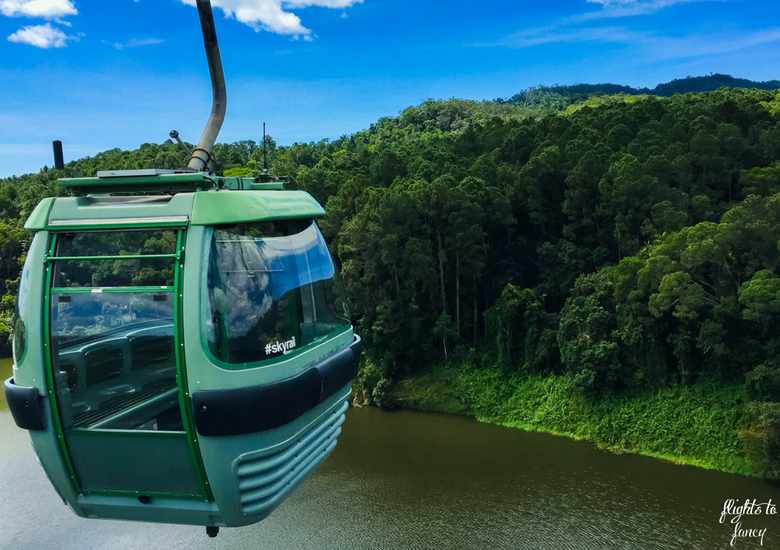 Scuba Diving or Snorkeling the Great Barrier Reef is a must and we loved the Skyrail Rainforest Cableway Cairns, the Kuranda Scenic Railway and Bruce Belcher’s Daintree River Cruises. 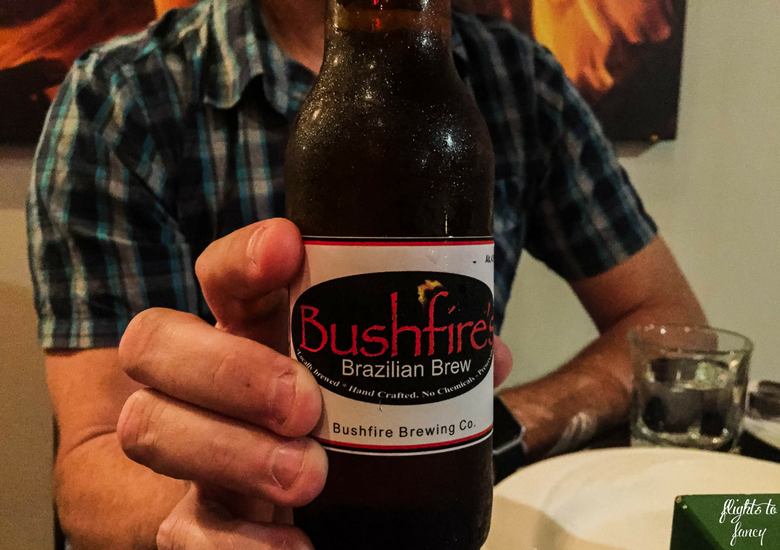 If you are looking for a fabulous meal try Bushfire Flame Grill, Bayleaf Balinese Restaurant, La Pizza Trattoria or Salt House. Take a wander down The Esplanade and watch a fabulous sunset from the lagoon or explore the marina and dream of owning one of the big boats. If you want to do a lot or very little, Cairns has something for everyone. 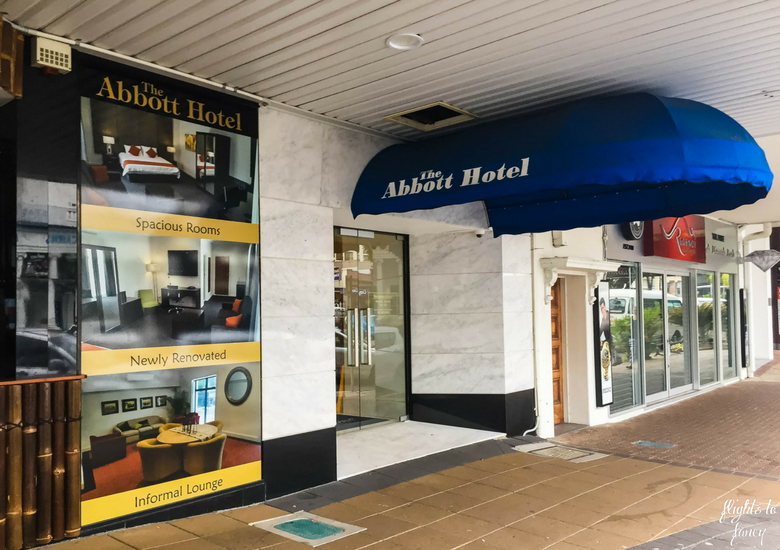 If you are looking for a great value modern hotel in the heart of the action you can’t go past The Abbott Boutique Hotel Cairns. Are you travelling to Tropical North Queensland soon? Disclaimer: I stayed at The Abbott Boutique Hotel Cairns as a guest. As always, all opinions are my own. This post contains some affiliate links which will earn me a few cents to contribute to the running of this site if you make a qualifying purchase at no extra cost to you. 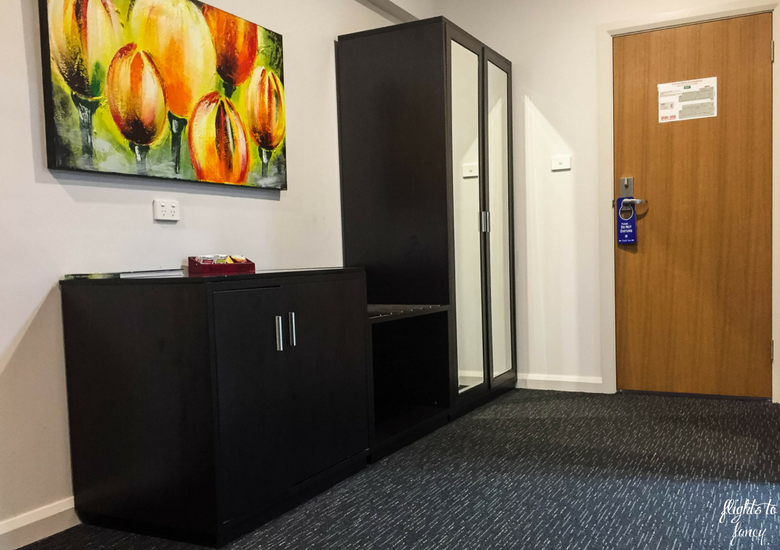 We’ve been researching for a trip to Cairns and noticed the same thing about a lot of the accommodation in the area lacking modernity – so thankyou for the tip on the Abbott Boutique Hotel Cairns. It’s one of the best one’s we’ve seen yet. We plan to drive from Tasmania (yes, bottom to the top!! ), so it’s good to know there is street parking easily accessible and that you didn’t have any issues. Thanks for the great review, you saved my day! I read heaps of Trip Advisor reviews Megan and many said the same thing. So glad we found The Abbott! It was over 25 years ago I was in Cairns and at that time was looking for the cheapest place to stay. Luckily things have changed and I now need comfort and stylish surroundings. This looks a good place to stay and in the centre of town too. Glad to see vegemite is still on the menu. Abbott boutique hotel looks so cozy. Love the minimal decor of the place. The metallic circular mirror looks like something I would want in my house! The breakfast seems delicious. I love hotels that are close to the attractions. I mean, who wants to travel miles and miles to get to the important places. It was perfect for us Shruti. We love to be in walking distance of everything! We just visited Cairnes last year. My favourite place was Parnella Park, where we saw bats. We went on a cruise ship so luckily we didn’t have to pay for accommodation but I understand how costly it can be. New Zealand hotels are also going up in price. We looked at Parnella Rhonda but just couldn’t fit it in this time. Next time for sure! It would have been awesome cruising to Cairns! The room looks very spacious for two people! I like that it is affordable and yet in the heart of the city. It saves you so much time to get around to places! It was really spacious Cat and great value! Looks like a very cool hotel! Contemporary is the perfect word for it. 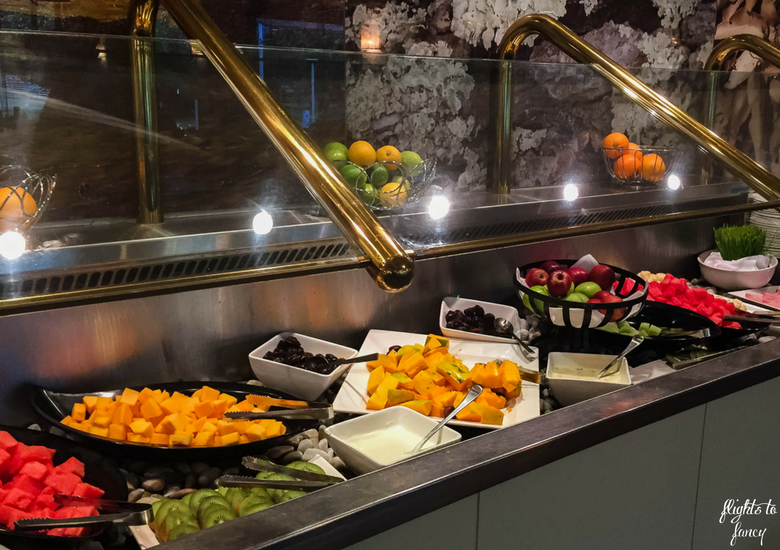 That breakfast buffet looks beautiful–always the highlight of a boutique hotel stay IMO! This is only the second boutique hotel I have staying in. I’m definitely warming to them. The Abbott was just perfect for us! Australia was our first trip abroad and the stay in Cairns was so memorable. I was rewinding back to that time as I read through your post. Over the years, I have started enjoying boutique hotels more than chain hotels, so I do keep a special eye on every such place I come across. Abbott Boutique Hotel seems lovely and comfortable. That is so cool Punita! Totally agree I am moving away from chains myself and looking for something more unique in accommodation. The hotel is definitely a comfortable and clean place to relax after a hectic day of exploration. 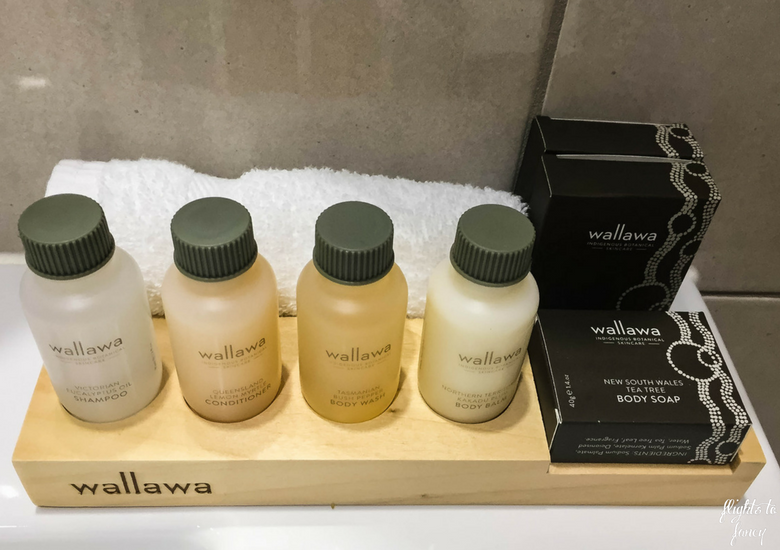 A good breakfast and comfortable bed and a hot shower is what one really needs when traveling and all this is what the hotel offers which makes it ideal to camp in and venture out to explore the wonderful outdoors of Australia. Definitely value for money. So true Sandy! I don’t use many of the facilities anyway so The Abbott provided everything we needed and nothing we didn’t! Cairns sounds like a lovely city, would love to visit and to the skyrail rainforest cableway. Hotel sounds lovely although the entrance didn’t seem too inviting, good thing they have the flyers at the door showing how it looks like inside! Once you step inside you will be won over! Cairns is a great city to explore and there is so much to do! 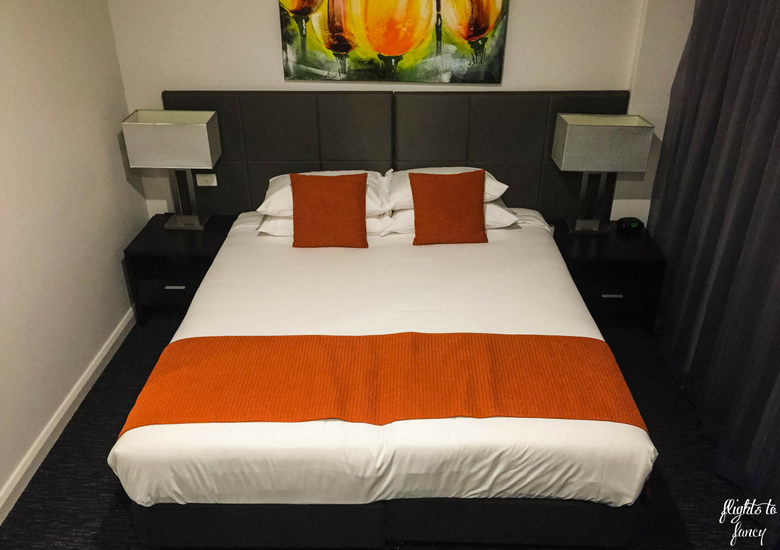 Boutique hotels are often one of the best for price and for a unique, modern accommodation. The Abbott Boutique Hotel looks worth the price and seems to be in an ideal location! You couldn’t ask for anything more. And if you are exploring all day anyway, you really don’t need a nice view. Just get outside and explore! Thanks for sharing! I’m starting to realise that Riley. 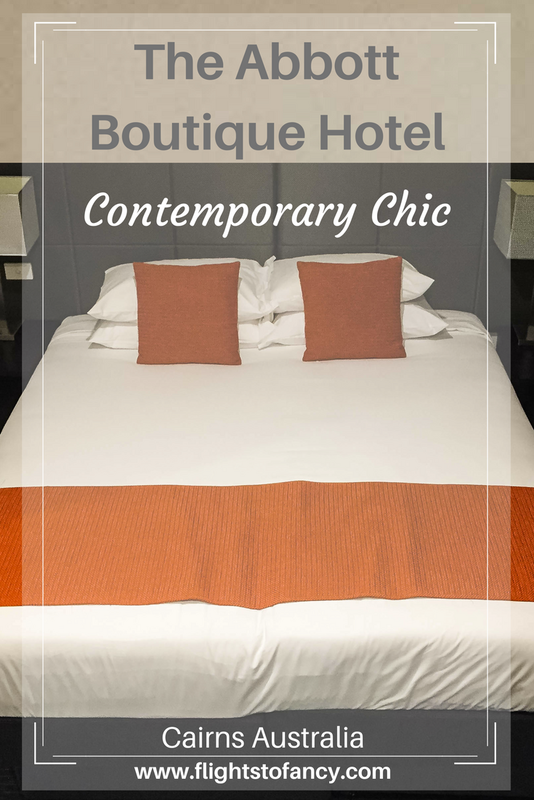 In the past I had stuck to known brands but lately I have had some fabulous experiences in boutique hotels. This sounds like a great base hotel for some of the best Australian adventures. I haven’t been to Australia, but I’ve had friends complain about accomodation prices. The great barrier list is totally on my bucket list! Thanks for sharing. Yes Kerry hotels in Australia are pricey. You can find some good value ones if you do your research well. the Abbott definitely represented value over the competition. I totally know the feeling. 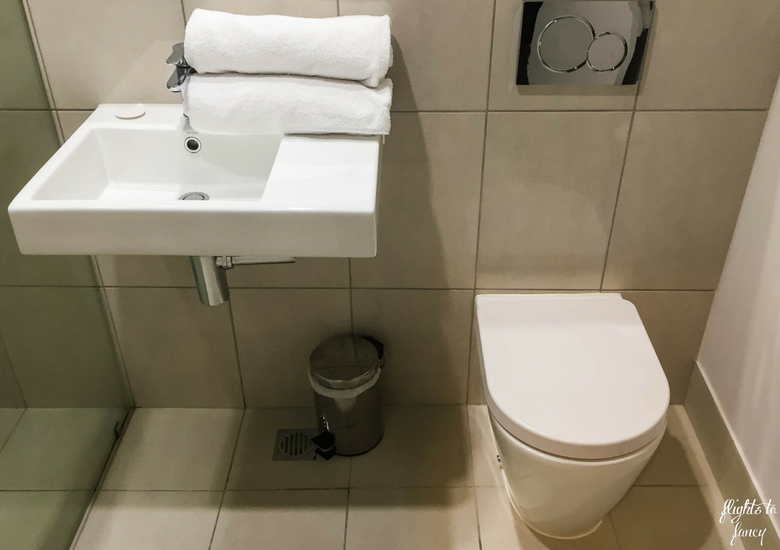 I’ve been to a whole host of cities where the accommodation options are crazy expensive, expensive but outdated, or cheap and generic. It is nice to find a boutique hotel that is priced moderately, has everything you really need, and feels a little more unique. Great looking breakfast spread too, though I would pass on the vegemite! It’s so disappointing isn’t it Drew! I was beginning to despair when I finally found The Abbott. Such a hidden gem! I like this place. It is simple and elegant. The contemporary, warm interiors make you feel at home instantly and I so loved the breakfast spread too. Nothing like a good spread to set you for a day of exploration. Loved your pics here. So true Ami. I rarely eat breakfast but I could resist the delicious spread at The Pacific! 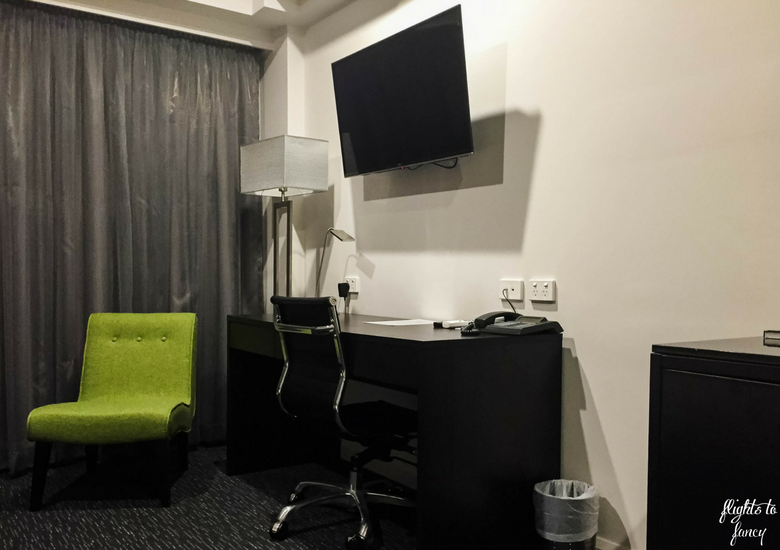 Boutique hotels can really be good, enjoyable and often give a more personable feel with regard to both the location you are in as well as more personal service. In cases like this where other facilities were somewhat lacking, the location makes up for it in terms of proximity to meet those needs. Otherwise it certainly seems like a nice, recently renovated, clean and well maintained property. The location was superb Nicole. We were literally steps away from everything and we walked everywhere! I love staying in boutique hotels, and the Abott Boutique Hotel looks perfect for me. You had a super king-sized bed! I didn’t even know this existed! A great hotel for exploring the area, thanks for sharing! Rooms look nice, like there’s everything you’d need. And I love the breakfast buffet. 🙂 So many things to see around, lovely. We sure had everything we needed. Cairns is the type of place where you are out and about all day so The Abbott was perfect for us. This really looks like a great value hotel! I like the modern style of interior decoration at this hotel: simple yet elegant. Everything seems clean and well taken care of. Breakfast looks good, too! Compared the the local competition it offered excellent value Fiona. And then to be so wonderful as well! It really was Suvarna. Hope you make it to Cairns soon! That’s what I was finding Sreekar. All the ‘known’ brands were getting really average reviews on TA and I just wasn’t convinced. The Abbott was a refreshing alternative. We had a great stay ?